I wanted to say thank you to those 20-something guys driving through the shopping center parking lot today. I guess without you generously bringing this to my attention, I would have been living clueless. Up until the moment you felt it was necessary to shout out your car window, as I was walking across the parking lot with my daughter, to yell at the top of your lungs , "That is one fat b!/@&!" as you cowardly drive by, I would've NEVER been aware that I had a weight problem. 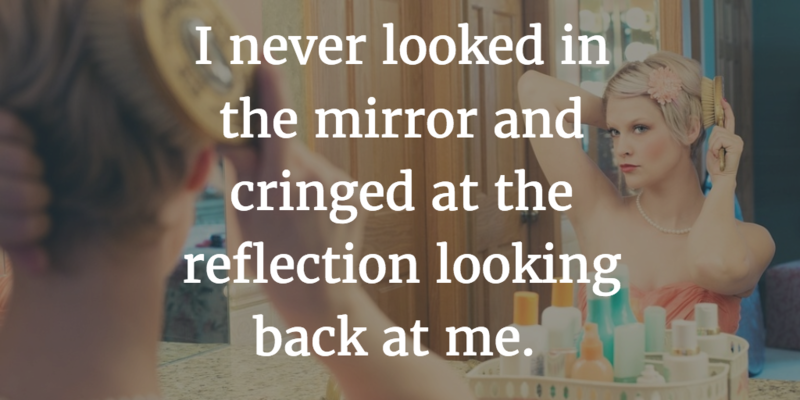 I never looked in the mirror and cringed at the reflection looking back at me. I was never ashamed to take my daughter to the swimming pool, because I can't bear the thought of being seen in a swim suit. The thought that "I will find someone that doesn't get disgusted by my appearance before getting to know what a great person I am" had never crossed my mind. I acted like I didn't hear what you said, even when my daughter turned in your direction, while I was crying inside because I didn't want my daughter to know your comment was directed at me. Where in your 2 brain cells did you find it appropriate to try to degrade and embarrass a complete stranger that was minding their own business? Not like you deserve any explanation, but I never had a weight problem. When I got pregnant with my daughter, I gained over 90 pounds. Sure took no effort in the weight coming on, even though I did watch what I ate. I don't regret one pound, because I also gained a smart, beautiful, and loving little girl. You also don't know that I have been going to the gym to try to lose weight. I was just starting to get some confidence in myself again. Your 1 second existence in my life just unraveled that. But that's right... I had no idea I was fat until you brought it to my attention. While I do hope you love a long life, I hope you never have to experience how your body changes with age. I hope when you find a woman that you love, and eventually have children with, that she doesn't gain anything more than baby weight. I hope you never find out what a thyroid disorder, or any other medical issue people can experience can change your body against your will. Your mother must be so very proud of you. Next time you find it necessary to force your opinion on someone, at least be man enough to say it to their face,so they can tell you how they perceive you. I took the high road today, instead of lowering myself to your level and shouting my opinion of you across the parking lot in front of my daughter. One day, though I will not be around to witness it, karma is going to come up and smack you right across the face.